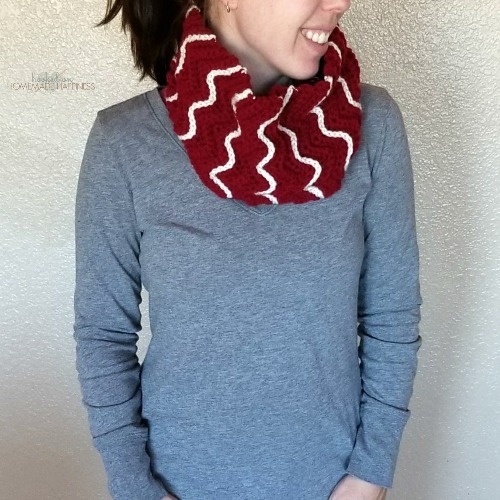 This cowl has such a neat texture and I love the thin contrasting stripe in this pattern. 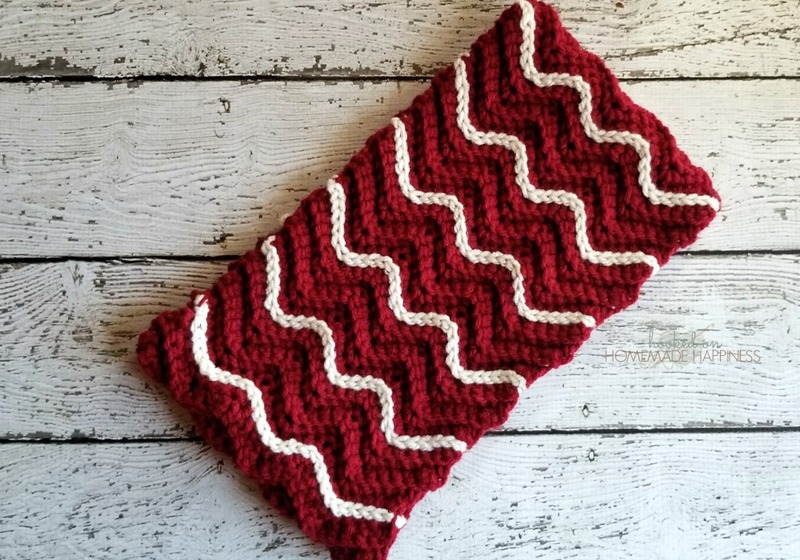 The textured ripple stitch is surprisingly easy to create! This cowl can be made in any length, but I wanted it small. It fits nice and cozily around the neck! I picked the colors for the holiday season. Doesn’t this give so much holiday feels?! Fasten off, weave in the other ends. Bring both ends together, matching up the ripples. 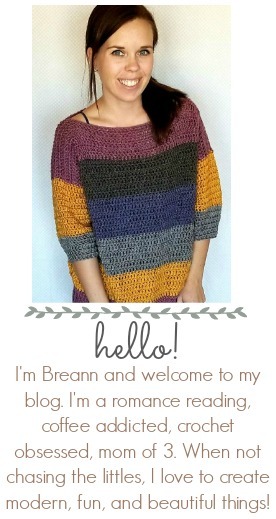 Using your yarn needle and the long tail, whipstitch both ends together. Make sure to keep both ends lined up, you might need to double up on some stitches. I love this! He color possibilities are endless! Love this! 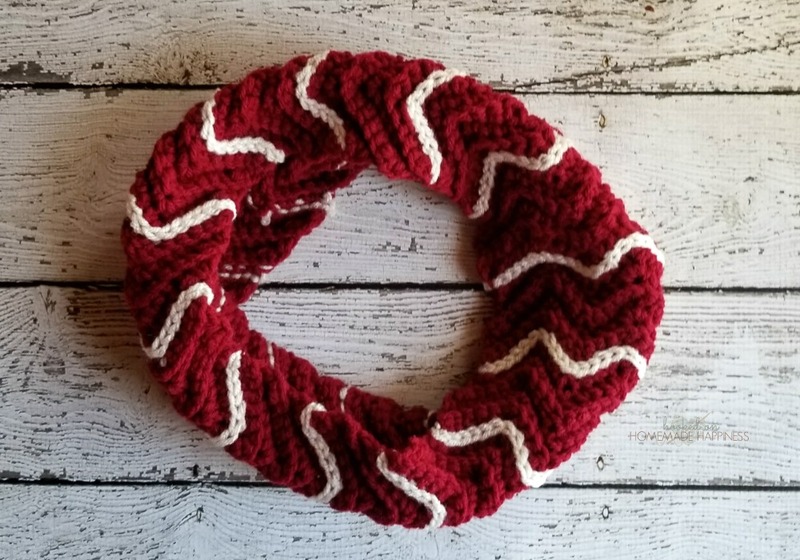 What is the finished length and width of this cowl? Thank you! It’s 7″ wide and 26″ long before sewing the ends together.